Riverbend Dental Centre in Saskatoon would like to welcome you to our office whether you’re looking for a new dentist or new to our city. You’ll be cared for by one of three experienced dentists: Dr. Tim Pierce, Dr. Atul Dhir, or Dr. Divya Balakrishnan. We love meeting with new patients, and our friendly staff is passionate about assisting you and your family with dental health and wellness care, questions, and concerns. 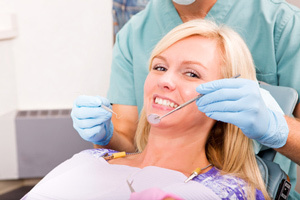 We provide oral hygiene care, along with general dentistry. We believe you will appreciate the warm and friendly manner in which we treat our patients. Our commitment is to apply our dental knowledge and skills in a caring and gentle way so you feel at ease and have a positive optimal dental experience. We can assist you with your dental insurance plan and provide direct billing and coordination of dual insurance plans on your behalf. If you do not carry dental insurance we accept cash, visa, mastercard, and check, our office also provides financing through DENTAL CARD. Riverbend Dental Centre has flexible office hours to accommodate weekday, early evening, or Saturday appointment requests. Please feel free to contact our office with any questions. We look forward to hearing from you.